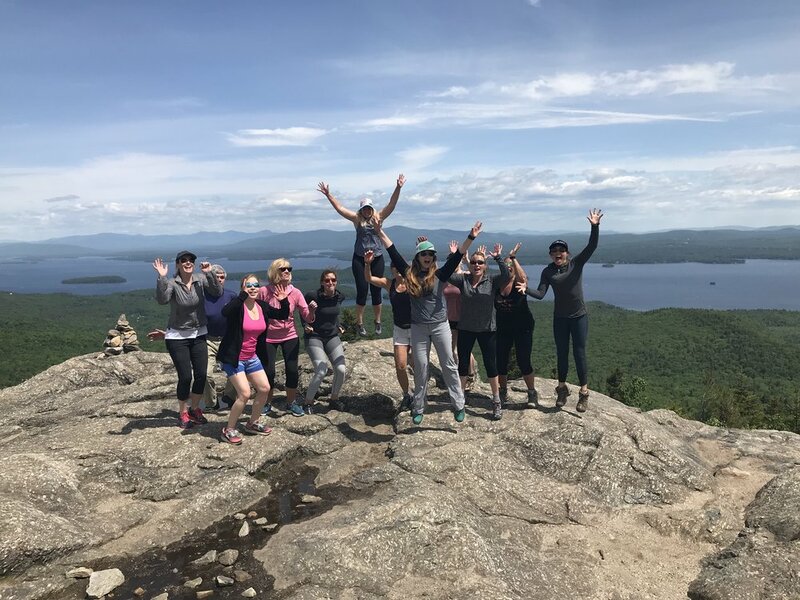 Franconia Notch HIKE+BIKE Adventure — Wild Adventurous Life | Wellness & Lifestyle Media Co.
HIKE+BIKE New Hampshire's iconic Franconia Notch in the White Mountains. Experience the notch like never before while connecting with a fun, like-minded group! Space is limited so be sure to reserve your spot ASAP! 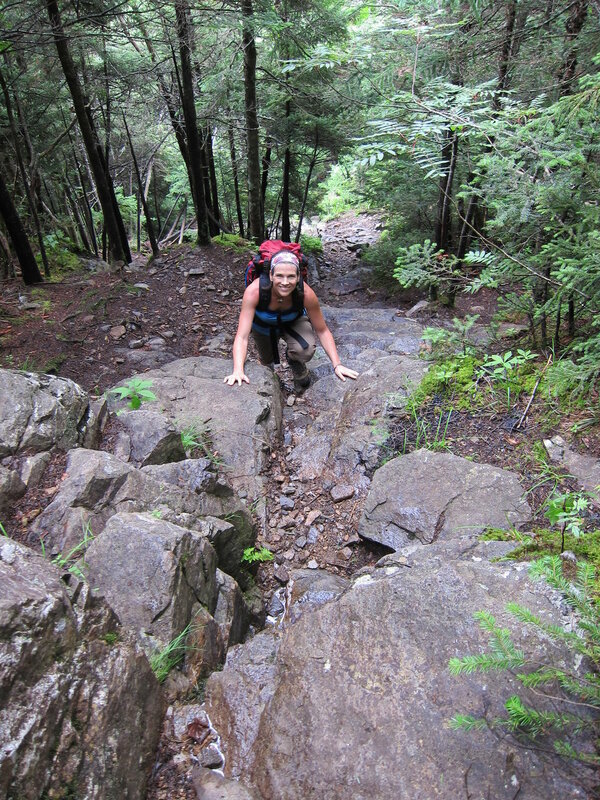 Join Jen, founder of Wild Adventurous Life, for this HIKE+BIKE adventure! First, we will meet at Lafayette Place Campground and stash our bikes. Then, we’ll drive moments away to the Flume hikers' parking lot where we’ll start our adventure by hiking up to the Franconia Ridge and then across the ridge to Mt. Lafayette [snagging (2) 4,000’ peaks!!] before we hike back down to Lafayette Place Campground. Fueled by Laney & Lu, we will enjoy plant-based energy bars and sweet potato brownies along the way! Following the hike, we'll jump on our bikes and coast along the paved bike path to our cars. It's mostly downhill, and we'll be dodging pedestrians and enjoying a lovely cool down. We'll finish up with some post-adventure celebratory beverages, plenty of group photos, and a lot of high fives! We will meet at the Lafayette Place Campground. The campground is on the southboard side of I-93 in Franconia, NH. Whitehouse Trail to Liberty Spring Trail (1400′): 0.7 mi., 25 min. ...to Franconia Ridge Trail (4260'): 2.9 mi., 2 hr. 55 min. ...to Mt. Lafayette summit (5089'): 3.5 mi., 2 hr. ...to Greenleaf Hut (4220'): 1.1 mi., 40 min. ...to Lafayette Place Campground parking lot via Old Bridal Path (1780'): 2.9 mi., 2 hr. 40 min. Please arrive ON TIME at the Lafayette Place Campground Parking Area no later than 8:00am. We will meet with our bikes (and bike locks if you have one) in front of the Camp Store. Leave your packs in your car. Once we lock up the bikes, we will be driving to and parking at the Flume hikers' parking lot minutes away. Our goal is to be on trail no later than 9:00am. Expect the hike to be about 8 hours and the whole event to be about 9-10 hours. This hike is will be challenging with exposed rock and some steep scrambles. Comfort with heights is required for you to enjoy the day. Our pace will be moderate and we will not leave anyone behind. There will be plenty of water breaks and photo opps along the way. Guided hike of Franconia Ridge, snacks from Laney & Lu including protein energy bar and sweet potato brownies, and post adventure celebratory beers! HIKE: The weather in the mountains can be unpredictable and exposure is high along the ridge. Pack responsibly including plenty of layers and water, lunch, bug spray, hat, and sunscreen in a comfortable daypack. Wear appropriate clothing and sturdy trailrunners or hiking boots. We've got the snacks covered! BIKE: For the trip from Lafayette back to the car, bring your bicycle + bike lock if you have one. Your bike doesn't have to be anything special. This ride is quick + mostly downhill. A helmet is recommended. A northern VT native, Jen Desrosiers is a devoted wife and puppy mama living in Newmarket, NH. Over the last 5 years, she has been devoted to discovering her true self, unlocking her superpowers, and being "all in" to living in alignment with her personal passion and purpose. This journey has led Jen to taking control of her own wellness, becoming a better friend and partner, and to the creation of her companies, Wild Adventurous Life, Laney & Lu - an inspired eatery, and a non-profit speaker series called IMPACT. She is a creative entrepreneur with an adventurous spirit, and happiest when in service to others. Jen thinks big, rolls with the punches, and believes she has something important to contribute. Her vision is to inspire personal transformation in others through adventure and holistic wellness.